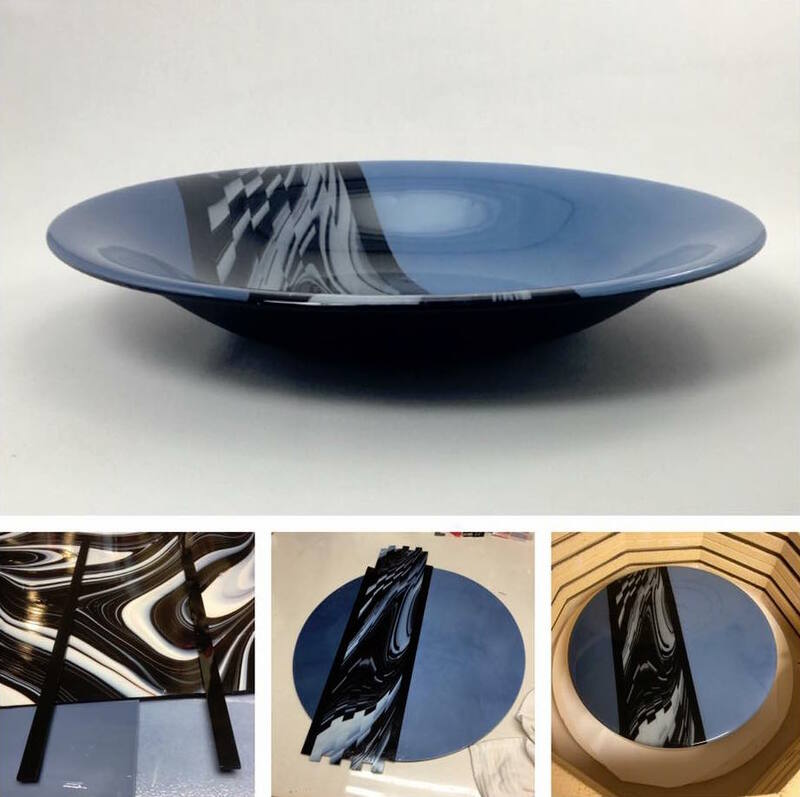 Your home or office is the expression of your own unique style; let me make a gorgeous matching glass bowl or dish just for you! I know from experience how much of your heart & soul goes into every little detail of your space & I want to help you show off your unique style in the most cohesive, creative, fabulously fun & special ways possible! I also know how much thought goes into finding that perfect gift for your special someone. I can help with that too. I delight in helping each client I work with to design the perfect piece. I would love to design a fresh, unique & thoughtful custom made piece of art glass! The process is easy! The steps are outlined below. "I was looking for a bowl to go in our lounge that would match our couches and decor. Moe worked with me to find the right colors and added just the right border to make it really pop. I get compliments all the time on my bowl. I couldn't be happier!"